‘Hacking’ is a much misused term, typically applied to controversial computing practices. However, the ‘hacker’ subculture involves a technical elite whose prowess is displayed through the imaginative re-purposing of consumer electrical equipment. Although widely feared for its lack of adherence to social norms, the hacker ‘open, solution-driven, hands-on’ ethos is increasingly finding favour in all manner of creative collaborations. The research project Hacking the Body explores using the concept of ‘hacking’ data to re-purpose and re-imagine biofeedback from the body. It investigates understandings of states of the body, and hacking them to make new artworks in site-specific performance, mobile installation, participatory experiences and visual artifacts, to explore new understandings of body states and to engage the public with their bodies in new ways. Through the use of biosensing, DIY devices and tapping into networks within the body, the body’s code is examined to make playful, interactive works. This workshop looks at the technological practice of hacking, and how choreography and participatory performance is shaped by ethos, methods and approaches. Participants will be introduced to the basics of soft circuitry and electronics, Arduino software, programming, and reading a sensor. At the end of the day they will have a functioning interactive sensor which they can sew onto a garment, bag or cushion cover. Part 1: a brainstorm session on what hacking could mean in reference to performance practices, current and potential, followed by the conceptualisation and devising of mini-performances with materials and soft-circuit sensors made in Part 2. Part 2: a maker session – participants will be guided through soft-sensor construction, using conductive stretch materials to hand sew, knit or crochet. They will then experiment with how custom responsive software interacts with the sensors. Part 3: participants trial their mini-performances with their sensors and custom responsive software. Anticipated participants include artists interested in DIY maker activities and hardware ‘hacking’ for wearable electronic fashion, performers and choreographers, artists and the general public – all are invited to get involved. • A piece of fancy fabric of your choice. It is best to use something non-stretchy and stiff, something like cotton or canvas. Fee includes: Equipment used in the session. 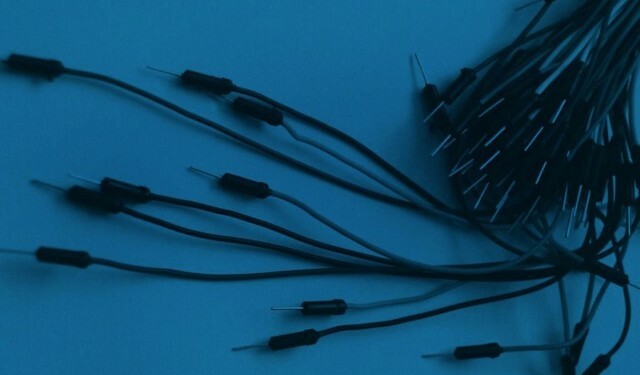 Some conductive materials, threads, wool and other materials will be supplied as well as scissors, batteries, LEDS, etc. for the soft circuits; however participants are welcome and encouraged to also bring their own. Camille Baker is a media artist/curator working within various art forms: mobile media, participatory performance, smart-fashion/soft circuits, interactive installation, responsive environments, telematic performance, video art, live cinema, media curating, and music performance. She teaches Digital Media at Brunel University, West London, UK. Baker completed her PhD project MINDtouch through SMARTlab Digital Media Institute, UEL in 2011, on social collaborative ‘VJing’ in mobile performance media contexts using wearable sensors. She has presented at festivals, conferences and symposia around the world, most recently: Becoming Nomad: Hybrid Spaces, Liquid Architectures and Online Domains, April 10, 2013, University of York St John, York, UK; Exhibiting Performance Conference, University of Westminster, 2013; EVA Conference 2012 London; Future Fashion Panel for Better Fashion Week, Dublin, Ireland, 2012; International Symposium of Electronic Art (ISEA) 2011, Istanbul, Turkey; Digital Stages Performance Festival 2011, London; TEXTURES, SLSAe 6th Annual Conference, Riga, Latvia, 2010.